Mayfield Eight on Kickstarter May 3rd! 20 days until my Kickstarter goes live! 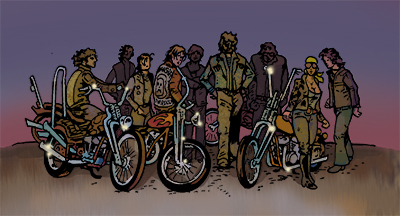 This week I want to share a short (very short) promo video that has gone out to many avid fans of Mayfield Eight, a six part comic about a young man going up against Drug Dealers and Biker Gangs in the 1970s. I hope you enjoy it, and share it with other people.